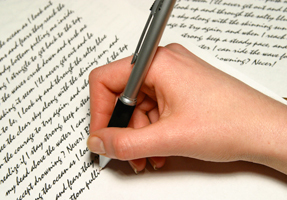 Our corporate transcription services are thorough, confidential, and always accurate. You can trust Daily Transcription to see you through all of your needs, including the transcription of voicemails, meetings, insurance claims, and conference calls. Trust your company’s work product to our transcription specialists. 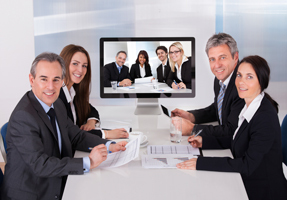 Daily Transcription can process recordings of all your company’s video conferences, whether the video consists of a few employees, a small department, or is a conference with a large division of employees in an auditorium. It’s as easy as recording your meetings using a digital video recorder and uploading the video files to our system. We will finish the job accurately within the time frame you’ve selected at a fraction of the price of our competitors. Daily Transcription offers quality and accurate corporate transcription services for your business meetings and recorded corporate minutes. We work closely with your staff to make sure your business meetings are recorded quickly and accurately then returned to your employees’ and associates’ hands when they are needed. It’s as easy as recording your meetings using a digital recorder and uploading the files using our Upload Media feature. We will complete the job accurately within the time frame you select. Whether the call consists of a few employees or the entire company, Daily Transcription can handle the transcription of all your conference calls. The process is as easy as recording your meetings using a digital recorder and then uploading the media using our designated button to send us your files. You’ll receive a thorough transcript of the call complete with timestamps. 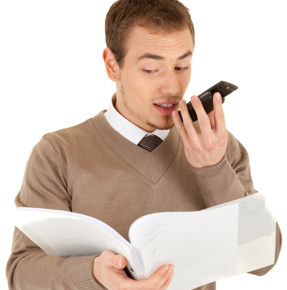 We are a leader in providing a voice to text transcription. Our professional transcription services are a great method to keep organized records of your voice memos. Because we deliver all of our transcriptions digitally in Microsoft Word, by having them transcribed, you’ll be able to do keyword searches, edit, and organize your transcribed voice memos. You’ll also be able to easily share these documents with whomever you choose. When time is short, dictation is often the most efficient way to get your thoughts out. With personal handheld recording devices and even smartphones, you can record your ideas the moment you have them. Whether it’s a letter, memorandum, or a massive change in corporate policy, let us handle it for you. Send us your digital files without ever having to leave your office and receive digital copies of your transcript securely to your inbox. We are a leader in providing audio to text transcription and this is the most sought after corporate transcription service we provide. We never outsource our digital audio transcription, yet we are still able to provide our customers with extremely competitive pricing. 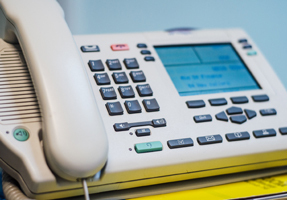 For those in need of voicemail transcriptions, we can provide you with a digital file of the transcription and a digital file of the voicemail for your records. Daily Transcription can handle all of your corporate paperwork. We transcribe your handwritten notes from meetings, brainstorming sessions, or notes on ideas into clean and discernible type. These documents will then be sent back to you digitally, allowing you to edit and organize them. Daily Transcription provides accurate transcription for your business’ data entry needs. From Payroll to Human Resources to R&D, we take every step to ensure your material is kept secure and confidential. From underwriting to claims adjustments, we can handle all the corporate transcription needs of your insurance company. 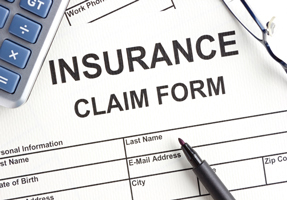 We understand the confidential nature of insurance and investigative claims transcription and always take the necessary steps to make sure your material is kept secure. All of our transcriptionists sign Non-Disclosure Agreements ensuring that your material will never be viewed or even discussed with a third party. Daily Transcription makes it easy for you to get your job done without sweating the small stuff. Upload your audio files directly to us now and let us handle the rest. Our US offices are located in California and we provide services to companies all over the United States. We are one of the preferred transcription service providers in North America. We offer accurate, quality transcription services when you need them, at rates that work within your company’s budget. Ready to get started? You can do that by filling out our contact paperwork or by contacting us to see how we can meet all of your needs.